and still not seeing the results you want? You'll also receive ongoing, personalized feedback and tips based on your own social media activities, as well as a weekly updates on the latest social media developments you should be aware of. Each class will be recorded. So, if you cannot make a session, you can watch it later. You will also be encouraged to participate and ask questions throughout the 6-week period in a private, online discussion forum. P.S. Please note that this course is for ADVANCED social media users only. 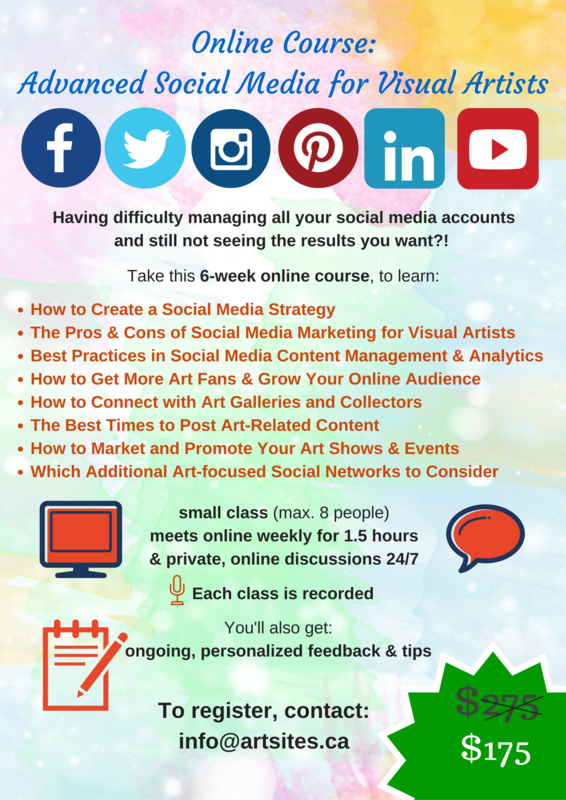 If you are interested in an Introductory Social Media Course for Visual Artists, please sign up for our mailing list and we will let you know when the next course starts!